The Zyxel XGS2210/GS2210 Series are fully featured Layer 2 Gigabit access switches designed to meet converged data, video and voice networking needs. 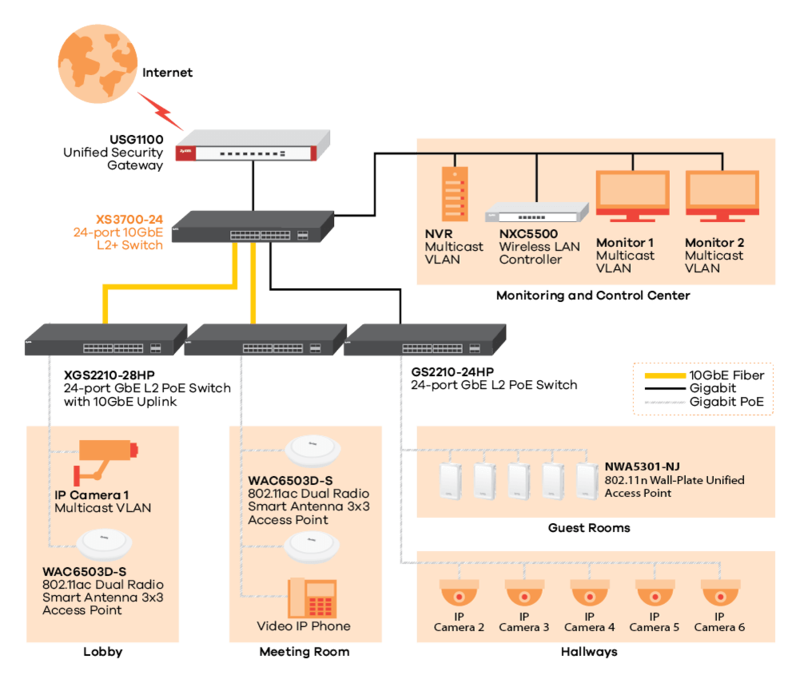 The Series comes in 8-, 24-, 28-, 48- and 52-port models with a combination of PoE and non-PoE, as well as Gigabit (GS2210 Series) and 10 Gigabit (XGS2210 Series) uplink options. The PoE models comply with the IEEE 802.3af PoE and 802.3at PoE Plus standards and provide a high PoE power budget. In addition, the XGS/GS2210 Series features the built-in smart fan which has been designed to automatically adjust speeds based on the device temperature for silent and reliable switch operation. The Zyxel XGS2210/GS2210 Series has a rich Layer 2 feature set that can shape the traffic for diverse VoIP, video conference, IPTV and IP surveillance deployments. 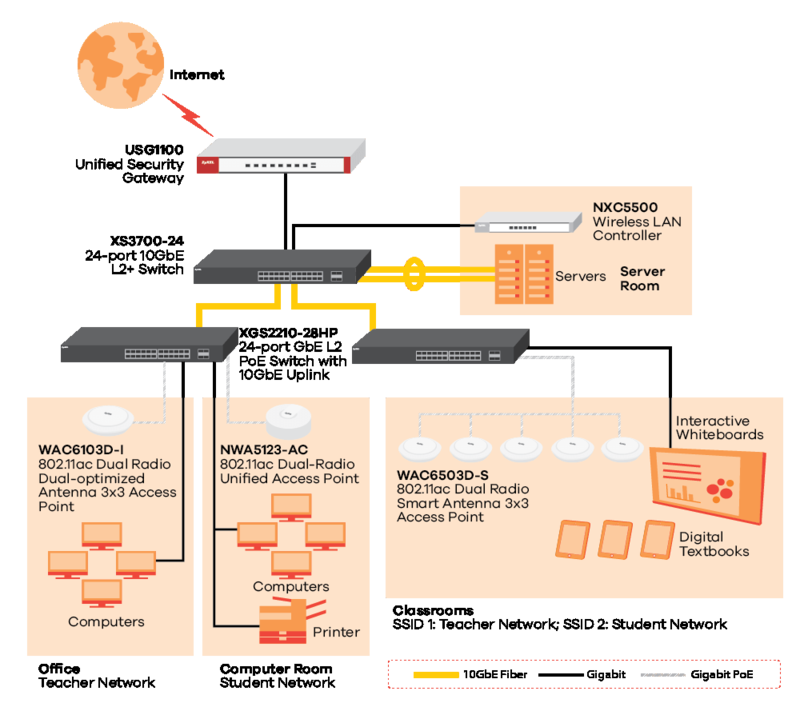 Advanced traffic control features of the GS2210/GS2210 Series such as L2 multicast, IGMP snooping, Multicast VLAN Registration (MVR) provide hotels, businesses and educational institutions greater agility and more effective traffic management for the converged applications of today. The XGS2210/GS2210 Series PoE switches support the 802.3at PoE Plus standard which provides up to 30 watts of power per port for advanced Powered Devices (PD) like 802.11ac wireless APs and video IP phones. The high power budget enables the XGS2210/GS2210 PoE switches to comfortably accommodate the PDs required in a modern network edge. 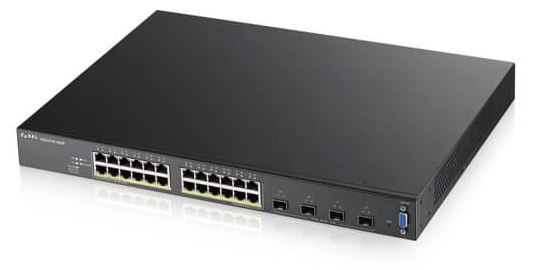 Especially in consumption mode, the XGS2210/GS2210 PoE switches deliver only the actual power required by the networked devices, reserve the rest and maximize its power budget. This capability increases the number of devices connected and ensures a better ROI for the business. Equipped with an extensive array of security features such as IP source guard, DHCP snooping, ARP inspection and CPU protection, the Zyxel XGS2210/GS2210 Series offers enhanced control and isolation for improved convergence of video, voice and data. Combining multiple L2, L3 and L4 filtering mechanisms with such education- and hospitalityfriendly features as MAC freeze, port isolation and guest VLAN, the Zyxel XGS2210/GS2210 Series offers a high level of security, flexibility and control for diverse access layer deployments. Full IPv6 support with features including autoconfiguration, duplicate address prevention, dual-stack (IPv4 and IPv6) and neighbor discovery, the Zyxel XGS2210/ GS2210 Series helps businesses and organizations stay ahead and get ready for future IPv6 networks. Also, the physical stacking feature of the XGS2210 Series facilitates management for multiple switches with one single interface. *Warranty terms, service availability, and service response times may vary from country or region to country or region. Download the Zyxel XGS2210/GS2210 Datasheet (PDF).